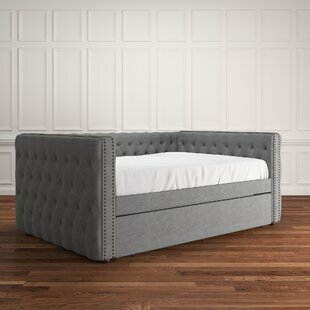 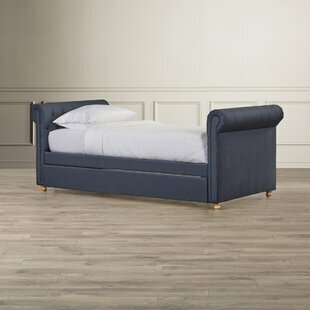 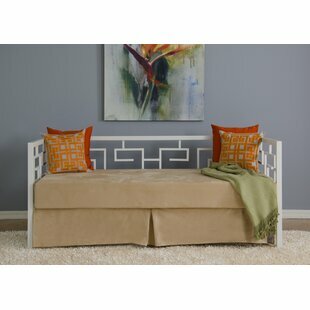 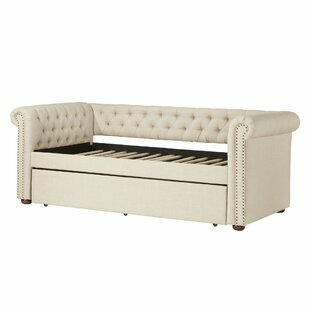 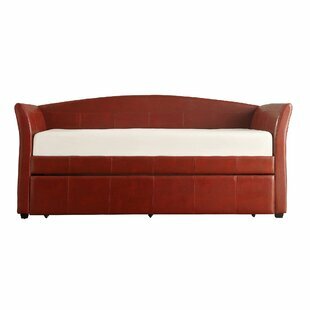 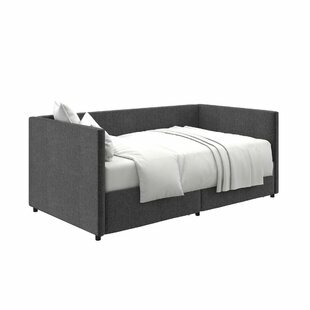 This innovative daybed features a timeless Greek Key cut out design and clean lines for a sleek modern-day look. 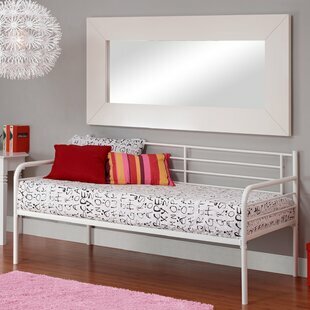 Crafted with durable, powder coated steel with full-length flexible wooden slats for a strong supportive frame. 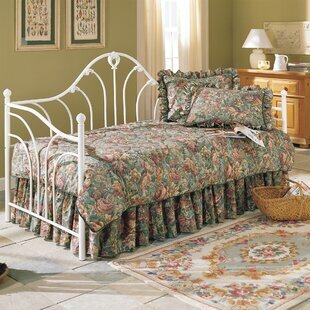 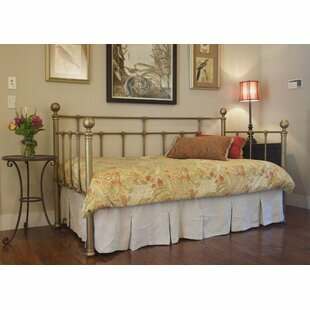 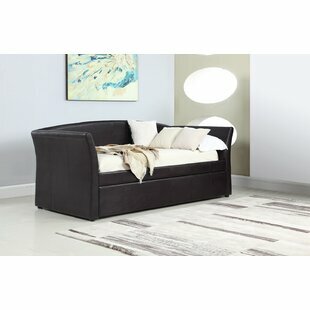 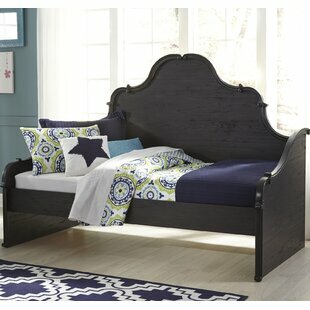 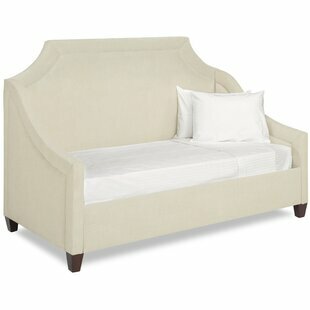 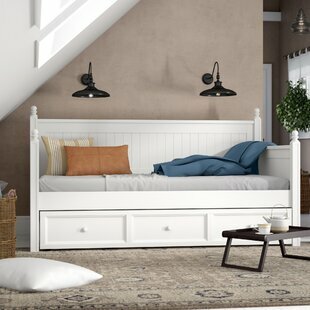 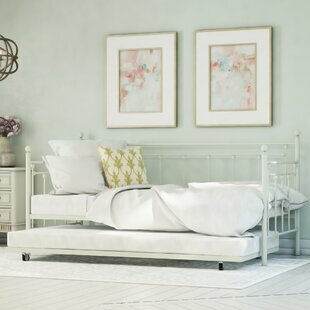 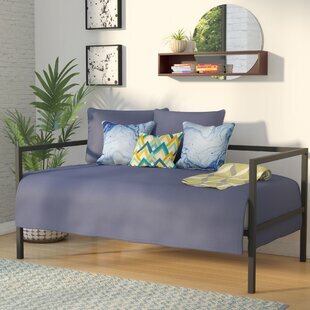 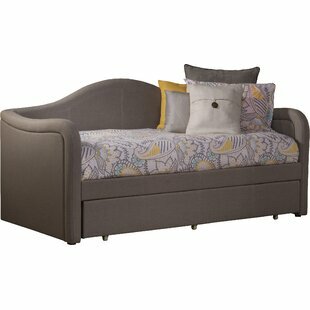 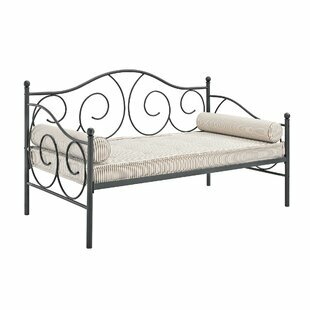 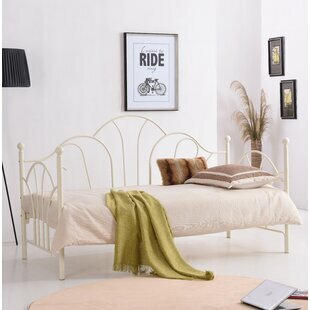 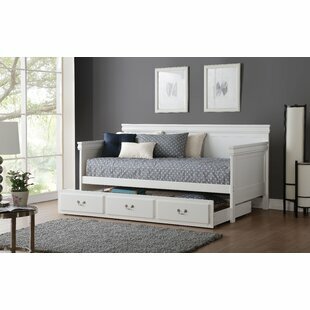 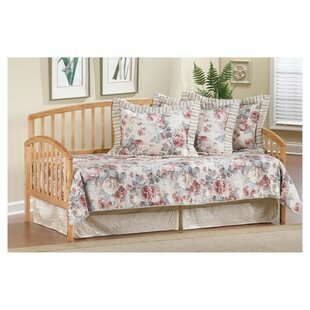 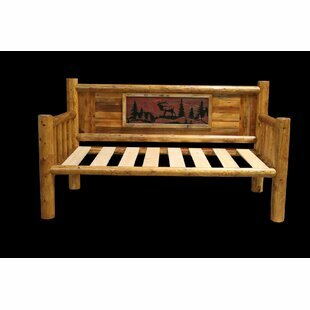 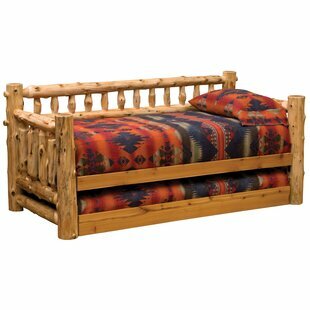 This high-quality daybed will add a stylish touch to any room. 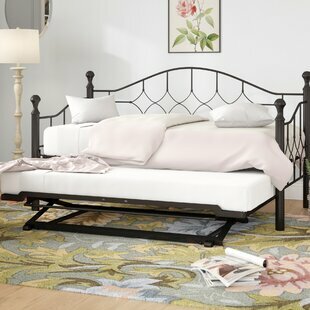 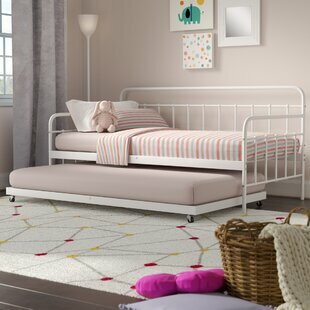 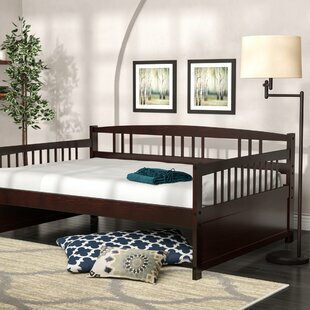 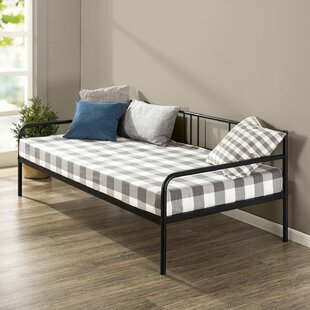 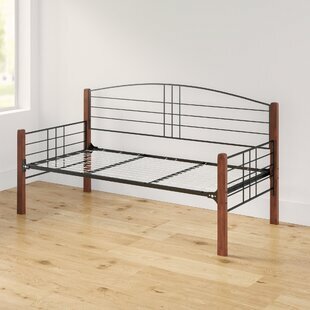 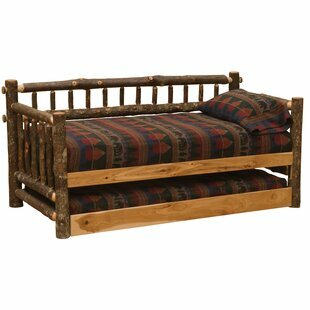 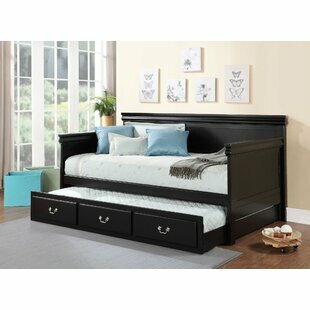 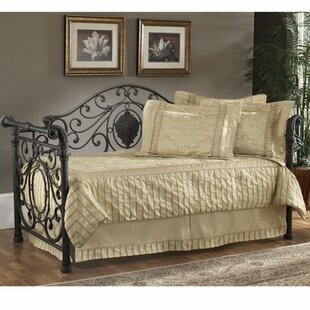 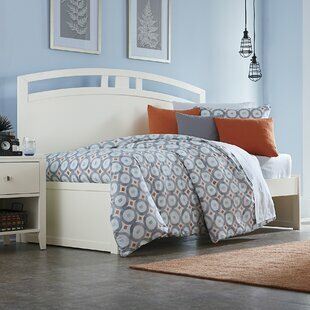 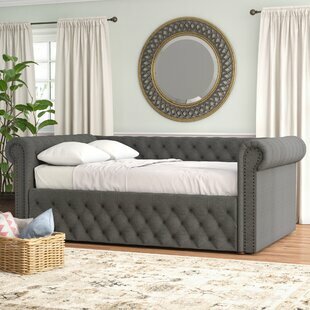 Frame Material: Metal Mattress Included: No Trundle Bed Included: No Assembly Required: Yes Overall Product Weight: 85lb.